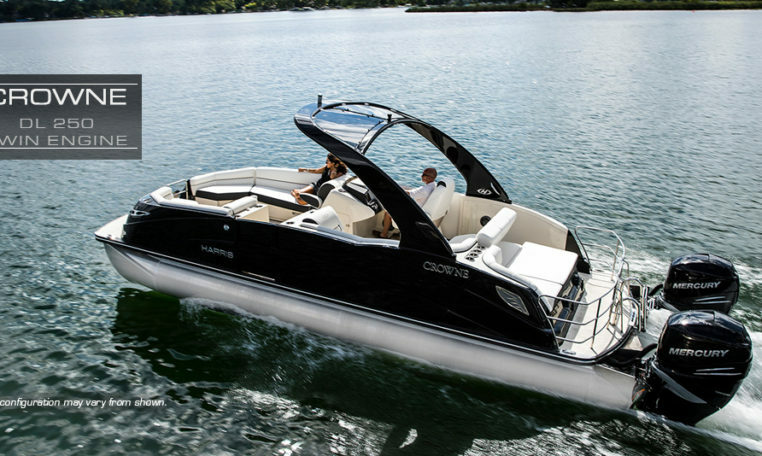 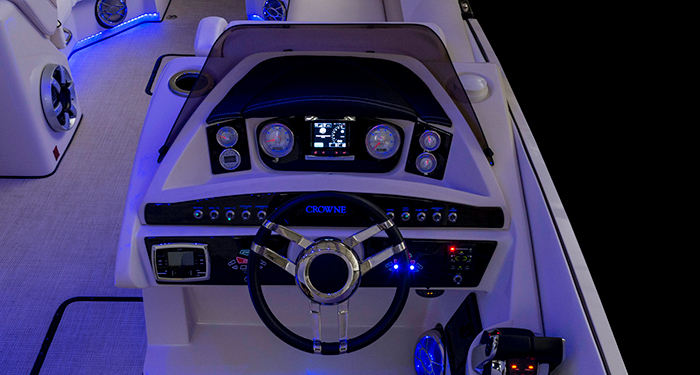 If you’ve got the need for speed and don’t wish to sacrifice luxury for performance, you’ve found the right boat with the Harris Crowne DL 250 Twin Engine. 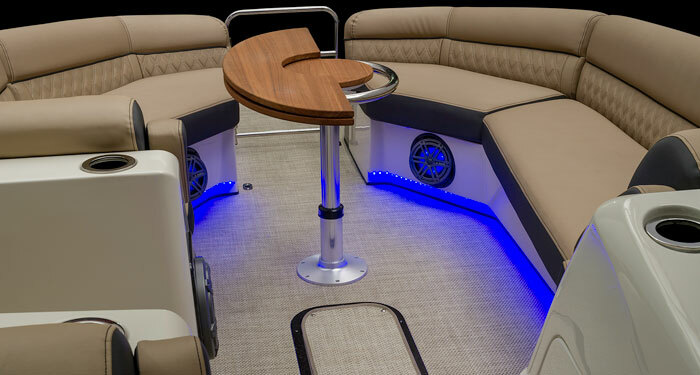 Boasting configurations with either twin Mercury 300HP or 350HP Verados engines — both available with Joystick Piloting for superb maneuverability — this pontoon delivers astonishing speed and handling for a luxury-class boat. 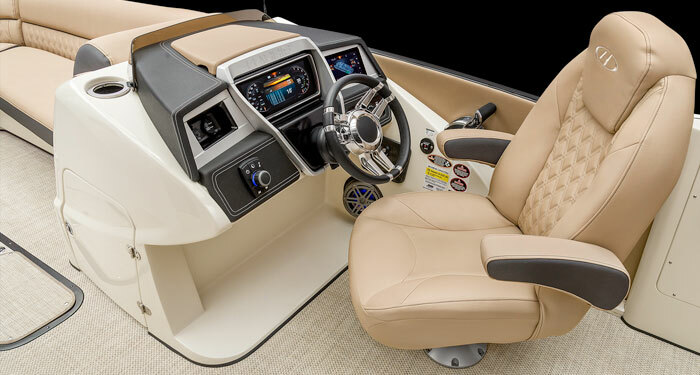 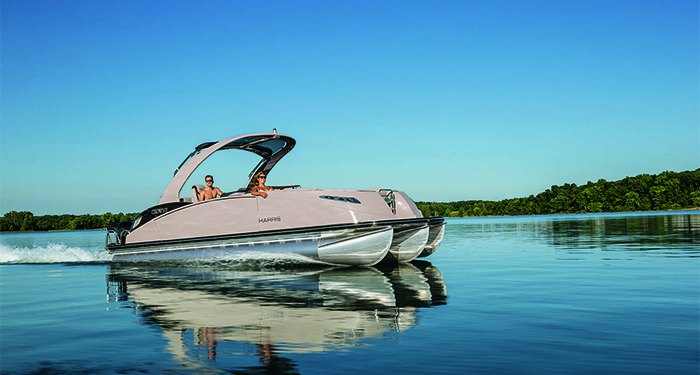 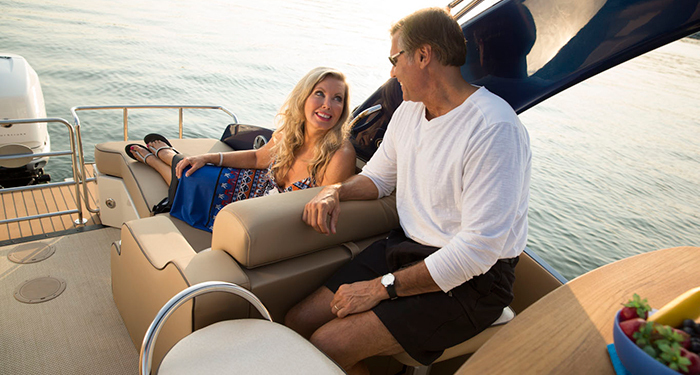 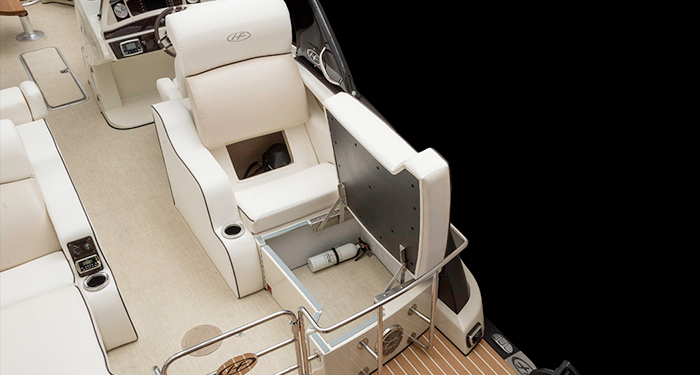 Get ready to experience powerful turns with confidence and acceleration you might not have thought possible to achieve in a pontoon boat. 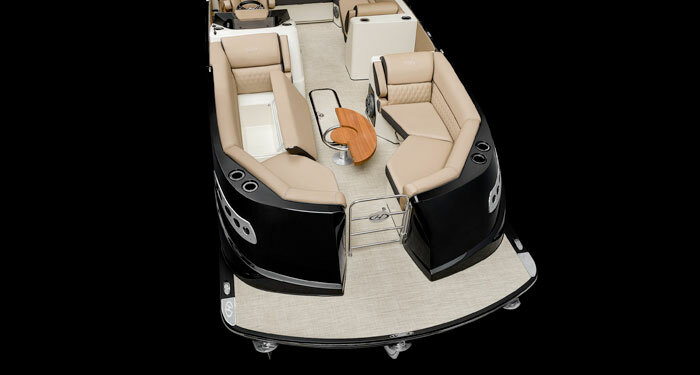 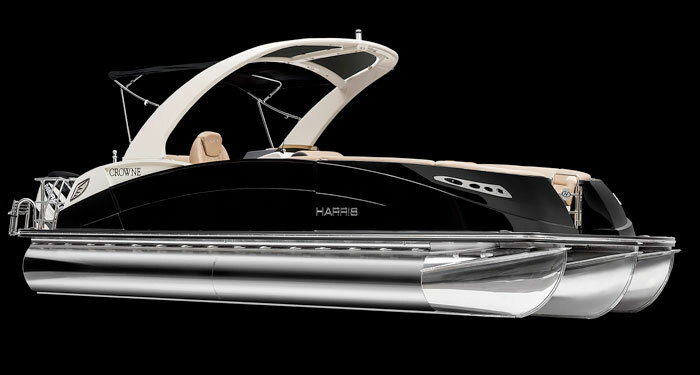 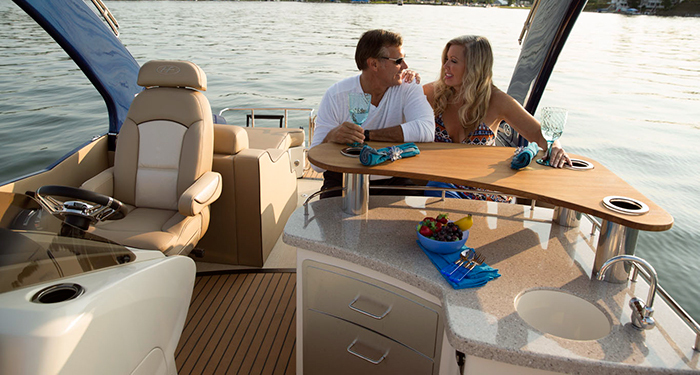 This high-end Harris model is not just about performance, it’s loaded with luxurious features as well. 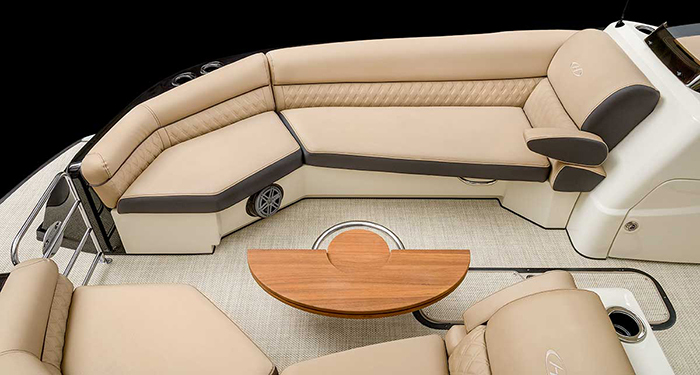 Notable standard features on the Crowne DL 250 Twin Engine include your choice of Desert Camel or Ivory Cashmere “linen-touch” marine-grade vinyl upholstery, Polk stereo with Polk Ultramarine App connectivity gives you complete control of the manoeuvrability from your mobile device and you can relax knowing you’re supported by some of the best warranties in the industry.